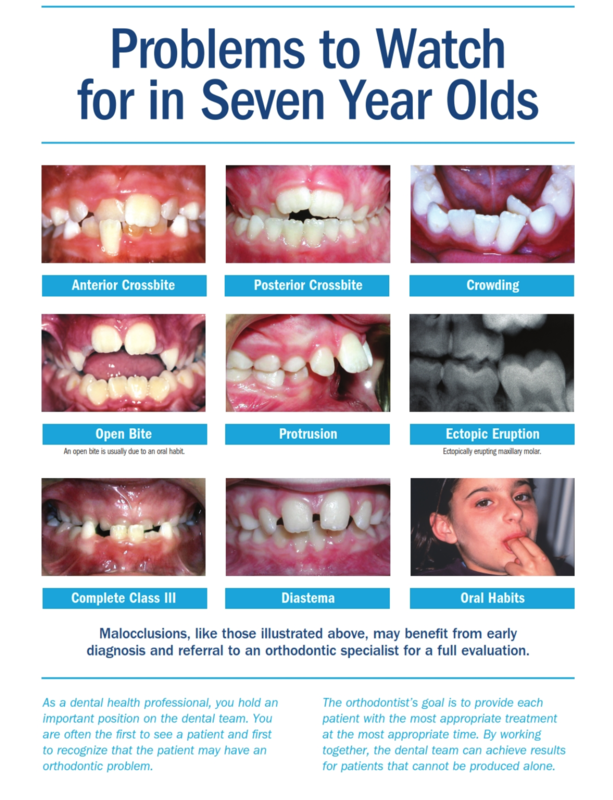 Why Should I Consider Early Orthodontic Treatment for My Child? What Is the Two-Phase Orthodontic Process for Child Orthodontics LIke? Orthodontic treatment is most commonly associated with straightening permanent teeth. However, for many young people orthodontic appliances can be beneficial before the adult teeth have grown in. Two-phase treatment is exactly what it sounds like: orthodontic treatment broken up into two stages. The first phase occurs prior to the eruption of permanent teeth to prepare the jaw to comfortably fit the teeth that will one day come in. The second phase helps to ensure an optimally functional and aesthetic outcome that lasts throughout your child’s life. Dr. Kenneth Banasiak, our experienced orthodontist, offers this approach to reduce overall treatment time and enhance the final results. At Banasiak & Nettune, our orthodontic professionals are extensively trained in jaw, teeth, and oral structure movement. They have been members of the community for over 40 years. Our primary concerns are your safety, comfort, and results, and we strive to make world-class service available to everyone. If you have additional questions about two-phase treatment, or if you would like to schedule a consultation with one of our orthodontists, please contact our office today. How the first molars, which should have erupted by this point, come together. We will also look for functional shifts or crossbites in this location. The incisors also should be erupting at this stage, and at this point we can detect signs of crowding, deep bites, open bites, jaw discrepancies, and developing habits. Some patients will benefit from a timely evaluation that catches problems early and delivers the necessary treatment, while other individuals can enjoy the peace of mind that a healthy checkup and appropriate oral development offers. Two-phase treatment is designed to help minimize potential jaw and bite problems before they become more advanced. If you put off addressing an existing concern until permanent teeth have erupted, your treatment plan could take longer, be more complicated, and be more costly. Furthermore, your desired outcome may not be as achievable. If you’re hesitant to begin a procedure due to financial reasons, we may be able to help. We will work with you to find a solution that best suits your needs and goals. What Is the Two-Phase Process for Child Orthodontics Like? Children can show signs of developing jaw problems as they grow. For example, sometimes the upper jaw, lower jaw, or both may be growing too quickly or too slowly, creating an imbalance. In many cases, an area of concern may be visible from very early on. A child displaying jaw asymmetry who is at least six years old typically will be a candidate for first phase orthodontic treatment. The initial stage of the procedure is designed to help build a strong, healthy foundation for the permanent teeth that will one day erupt. We do this by gradually adjusting jaw size to improve bite alignment and function for the life of your child’s smile. Our phase one treatment is designed to work with your child’s natural development. The orthodontic appliances help adjust the shape of the upper and lower jaw as they are growing, which can minimize discomfort and improve the treatment experience. Furthermore, this can establish adequate room for when the adult teeth come in. Crowding, and therefore the need to remove permanent teeth, can be significantly reduced. At our practice, we specialize in tailoring treatment to best suit you and your child’s needs and goals. We will begin by creating records that detail the type of orthodontic appliances to be used over the course of the first and second phase. Additionally, we will determine the expected length of treatment time and how often you should schedule appointments. Other records we will utilize include models of teeth, photographs, and X-rays. Between phase one and phase two is a period of rest. During this time, the adult teeth are given time to finish erupting. The first phase is designed to create the necessary jaw space for the permanent teeth to fit comfortably without crowding, impaction, or displacement. However, this doesn’t mean that the teeth will naturally settle into their final positions. Some individuals will need to wear a retainer to help maintain the results of phase one, but this will depend on your child’s unique plan. School may be out, but there is a summer session. During the resting phase, we will monitor your child’s progress with occasional check-ins. If some of the baby teeth are slowing or disrupting the emergence of the permanent teeth, one or more may need to be removed. In most cases, we recommend scheduling an appointment every six months. The second stage of treatment typically will be easier and faster as a result of going through phase one. At this juncture, teeth will be moved into their functionally and aesthetically ideal positions. This phase typically begins when most if not all of the permanent teeth have erupted. We will continue to utilize the orthodontic records and treatment plan developed when we began phase one. Braces are the most common orthodontic devices used at this point, and they will likely be applied to both the upper and lower teeth. Most treatment plans require about 24 months to complete, although your child’s experience may vary. For a certain period after the braces are removed, a retainer should be worn to help maintain the results long-term. We will be happy to discuss the details of your child’s unique treatment with you during your appointment. If you notice something on the list above, or another habit or development that seems unusual or abnormal to you, it’s best to have it checked out by a professional. Talk to us and we can help you evaluate any concerns. Two-phase treatment can seem like a complicated process, but it’s actually designed to make teeth straightening and bite aligning much easier, comfortable, and effective. If you have additional questions about two-phase treatment, or if you would like to schedule a consultation with Dr. Banasiak, please contact us today.